Bunyan Velo; issue no 4 is out! Bunyan Velo is now in its fourth edition, and this latest instalment is as beautifully crafted as its predecessors. There’s plenty of it too; at 200 pages long, it will provide my tent-time reading for some days yet. 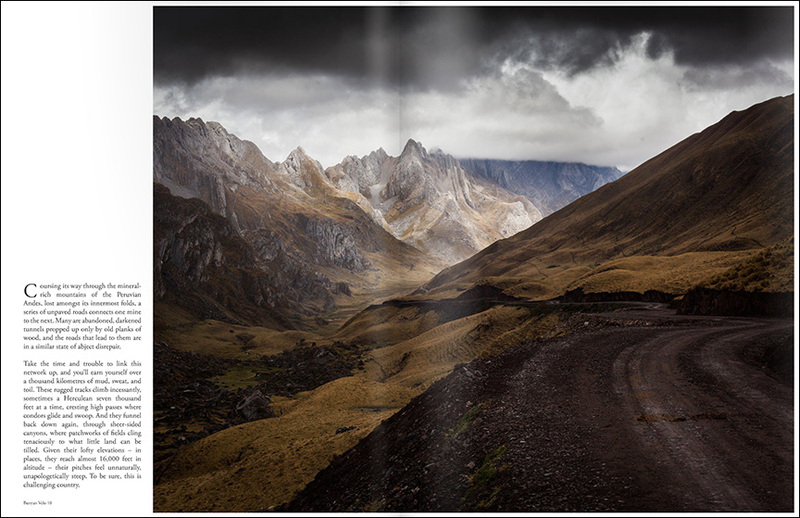 I’m delighted to be part of this project, on this occasion with a cover shot and a set of dirt road photographs from Peru. My submission joins a collection of words and images from cyclists around the world, each sharing inspiring, personal stories – of the kind that’s rarely published elsewhere. Indeed, this is perhaps the reason I enjoy BV most: it embraces adventure in all its inclusive forms, sidestepping the associated pomp and glamour so often portrayed. (namely, adventure cycling is about getting on your bike and having fun, on any budget, weather it be in your backyard or halfway across the planet). Do go by and see what Bunyan Velo is about. The fact that so many cyclists have taken the time and effort to record their impressions, in such a varied and beautiful way, is a real treat for the senses. A page from my submission. This entry was posted in Journalism on March 1, 2014 by Cass Gilbert. Just discovered “Bunyan Velo” after reading about it on http://uninspiredramblings.com/. Glad to see your shots showcased in a publication and I really hope the are going to reach many more people… Inspiring stuff indeed!